I have written of the Sathya Sathya Sai Baba-implicated and high-profile British Labour Government Minister, Tony McNulty MP, and police investigations earlier this year into allegations of rorting the British taxpayer via parliamentary expenses claims. (See Further Reading, below). And now another powerful British Government figure is under British police investigation, Lord Paul Swarj, a close friend of the British Prime Minister Gordon Brown, and major bank-roller of the British Labour Party. “Lord Paul has temporarily stepped down as a Deputy Speaker of the House of Lords while an investigation is carried out into his expense claims. Over the weekend it emerged that Lord Paul, a Labour peer, claimed that a flat occupied by one of his employees was his main home, allowing him to claim £38,000 in expenses”. Of course, a wealthy individual does not usually need to rort 38 thousand pounds sterling. They tend to have plenty of liquid wherewithal at hand or else easily be able to borrow it from mates, if momentarily stuck. Rich pals help rich pals out, just as poor ones do. However, there may be other reasons, and the British investigators clearly think it worthwhile exploring avenues of possibility. Unscrupulous individuals can have many shady cash cow sources, and the overall yield end up a great deal more than 38 thousand quid. In terms of the last five years, the amount he has claimed reaches 110,000 pound. What exeeds this amount by far is the taxation that Lord Paul is widely criticized for avoiding. The next weeks or months may result in yet another exposure of those who abuse their wealth and power. It is the story of Sathya Sai Baba and many core leaders around him, including those Sathya Sai Organization members around the world who use their wealth and influence – often without revealing the true agendas of the one called by the BBC “The Secret Swami” – in the corridors of power. It may be hoped that the British media, while investigating Lord Paul, will also find time to question any firm ties between Paul and the Sathya Sai Organization. “Lord Oakeshott, the Liberal Democrat Treasury spokesman, said: “What concerns me most is that he is claiming £38,000 from British tax-payers for a home where he doesn’t seem to be living when he doesn’t pay full British taxes himself. That sum of money for a multi-millionaire like Lord Paul is a drop in the ocean compared to the taxes he is dodging from his worldwide income. Claiming a property is your main home, when someone else lives there but would move out if you asked them to, is stretching the English language and the Lords expenses rules too far. Swraj Paul, Baron Paul, (born 1931) is an Indian-born, British-based business magnate and philanthropist. In 1996, he became a life peer, taking the title Baron Paul, of Marylebone in the City of Westminster, sitting in the House of Lords as a Labour peer. In December 2008, he was appointed deputy speaker of the Lords, the first person of Indian origin to hold the post. Anantapur District Journalists’ Union (ADJU) at its emergent meeting here on Monday passed an unanimous resolution requesting the Press Council of India to inquire into the criticism of Sri Sathya Sai Baba against the Press for publishing news items and special articles on the June 6 incident that occurred in Prashanthi Nilayam in which six persons were killed. It may be recalled that Sai Baba in a scathing attack on the media on Saturday said, “all arguments and theories carried in the newspapers for the past four weeks are nothing but flights of imagination and are false.” Baba also said such reports were motivated and called them “malicious”. The meeting adopted an unanimous resolution “disapproving” of the Baba’s criticism against the media and sought the Press Council’s intervention to inquire and take action if the journalists had acted with any “malice”. Besides the meeting also posed some questions to Sai Baba requesting him to give personal replies. When six persons were killed in Prashanthi Nilayam why none from the Prashanthi Nilayam organisation had lodged a complaint with the police? Where was Sri Baba after the incident on June 6 till the next morning? During the period who met him and what did they discuss with him. Did Sai Baba himself press the siren button? There is a widespread opinion that the four slain assailants were shot dead by the police only at the instance of some persons belonging to the Prashanthi Nilayam management. How far is it correct? Why was the Sri Sathya Sai World Trust abolished? Why was it decentralised? Will you publish a White Paper on the present properties, including cash assets in the name of various Sri Sai Trusts? Brett Lee is a prominent example of strong ties between India and Australia. It is good that someone with his credibility has stepped forward to bring calm to the situation following recent attacks on Indian students in Melbourne. Australia is in for a test of another kind than cricket. Our country will be tested for whether democracy and muticulturalism truly flourish, as well as respect for the well-being and physical safety of all citizens of, and guests to, our country. Along with implementing changes to policing, law, education and greater public awareness of the issues, the Federal Government and State Governments in Australia face tests in how truthful and responsive they are when there is review of their performance in approaching urban crime. Aside from sad incidents such as “sledging” (badmouthing on the sporting field), India and Australia share a great love of cricket, and many players on both sides have done their countries proud in the spirit in which they conduct themselves both on and off the field. Many friendships have been forged. It also means that forces from the community, apart from political figures are standing forth. Unless leaders with credibility in both countries make their voices heard, discussions about the relative roles played by racism and sheer, opportunistic street thuggery looking for “soft targets” will not have a proper chance to be heard. ‘Racism thrives on ignorance, and on unreal social structures where persons and groups cannot get to interact with and appreciate persons and groups who are different. The locus of Australia’s achievements in multi-culturalism were not the politicians, but were staged in the Australian suburbs. They belong to the people, both older Australians and migrants, and they must not let political elites obsure or attempt top down solutions’. Quite apart from policing aspects, areas such as student welfare infrastructure in learning institutes where students from India and many other countries study need urgently to be looked at. There are reports that some arrangements fall far short. Not to have excellence in an area such as this amounts to false pretences, given the importance those institutions place on overseas student study. The fees are large and the duties of care enormous. There must not be a single shortfall. Because of the events in Melbourne, reports now surface that there have been widespread attacks in Sydney. Australia’s re-think will need to be far-reaching, and embrace all aspects of student wholistic welfare, and extend to foreign students from all countries – many of whose parents must at the moment be beside themselves with anxiety. In the last days, Brett Lee was involved in arrangements to have a street cricket match with Indian students. This had to be called off because of still further violence perpetrated against an Indian student. Indian students who were in favour of the match were, however, uset by the renewed outbreak and naturally in no shape, emotionally, to play. Unless all the facts are made plain, it will be very difficult to reconcile continuing reports of lack of foreign student safety and general wellbeing with the statement, widely reported in the Indian media, issued via the Australian High Commission in India: “We know through surveys of the many thousands of enrolled and graduating students that the overwhelming experience of international students is positive. This should be the outcome for every student”. …. Both Lee and Deakin University have long-standing ties with India – Deakin was the first foreign university to open an office in India and Lee is is involved in charitable work through the Deakin India Research Institute. …. The cricketer’s popularity has continued to grow in India recently through the Indian Premier League and he appears heavily in Indian media through his numerous endorsement deals . …. A popular figure on the subcontinent, he even reached number two on the Indian singles chart in 2006 with the self-penned You’re the One For Me, a duet he performed with Bollywood star Asha Bhosle. ………………………………………………. There have been most shocking physical attacks against Indian students in Melbourne, Australia. Some 90, 000 Indian students now study here, second to China in the number of foreign nationals studying. Australia intends to attract many more. They need to feel safe and respected. Yesterday’s news reported what is alleged to have been a peaceful demonstration waylaid by a small number of anti-social elements. In March 2009, this blog reported Channel NineMSN’s exposure of security personnel violence against protesting staff and disabled clients at SWARA (run by one of the superluminaries of the Sathya Sai sect, Moyia O’Brien) in Brisbane. Reports that suggest the Melbourne protest was derailed by over-reaction of authorities, brought back eerie reminders of those accounts which a number of those involved (including those who remain Sathya Sai Baba devotees) have given. In both the Brisbane case (security personnel) and the Melbourne case (police, including mounted police), violence by authorities has been seen. Irresponsible commentators see no reason why the actions of security and police should be examined. They fail to ask whether proactive, peaceful methods could have been used, instead of the violent handling of what had been organized as a peaceful protest. It is an old theme – and authorities in modern democracies cannot hide, though they try to, violent propensities. As a nation, we need to decide whether we wish small numbers of louts to shopfront us to the world. More fundamentally, we have to find solutions to danger posed by those marginalizing forces which create unemployed, dispossessed angry young people who lurk by day and night on street corners unleashing their contempt for human life and property. Boldness and imagination can address these problems. We cannot depend on politicians to be bold and imaginative; we have to be bold and imaginative ourselves. “We want a multicultural police section and we want crime statistics made public so that we know the extent of the problem,” he said. The protesters also wanted on-site accommodation for Indian students at all universities and colleges. Mr Gupta blamed outsiders for the trouble outside the station, saying it was always meant to be a peaceful rally. “People have been angry over the past few weeks, especially the young people, but it was supposed to be a peaceful rally. Unfortunately there were some agitators there, stirring things up … They had their own agenda,” he said. Many Australians with experience of Indian students know of their characteristic politeness and hard-working qualities. They do credit to their country. Let me give a small, though I think iconic, example of an arrangement that could, badly handled, have gone terribly awry. Because of huge outsourcing by Australia to India of telecom handling of public enquiries and complaints, the extraordinary politeness and patience of the Indian operators have become a byword among millions in Australia. But something nasty is astir, though it should not deflect attention away from the fact that a great many Australians support multi-culturalism, a fact that has been strongly shown in poll after poll, including at the height of the Mrs Pauline Hanson’s deplorably simplistic political presence in the nineties. However, support is more than sentiments stated to pollsters. The real fairness and justice require that we do not pass by, and turn blind eyes, and cocoon ourselves or fail to inform ourselves. It is not by our deploring racism that our humanity will be guaged. At the same time, heated debate over whether the attacks were based on racism or opportunistic, soft-targeting should not be allowed to obscure the fact that all citizens and visitors alike have every right to feel safe. Politicians in Australia of all complexions have been characteristically unbold in looking for solutions to poverty. One question that has to be driven is this: Are tougher sentences and proposed clauses such as ‘hatred for or prejudice against a particular group of people’, remedies that are anywhere near sufficient? The question about the extent of racism in a country may not, in the present context, be the most pressing or relevant one. Pressures in a changing society can make an issue that may be relatively isolated grow much larger. Emphasis on tough policing and judicial solutions, without a far wider suite of remedies, can ensure. counter-productively, that the hateful violent are increasingly sent to one of the best-known ‘colleges’ of hatred – the prison system, itself in grave need of reform. Australia’s Prime Minister Kevin Rudd’s prompt assurances to India’s Prime Minister Manmohan Singh must be accompanied with sophisticated action. The raw-nerve (sometimes knee-jerk, sometimes cynical) reaction evinced by many politicians about finding and punishing the culprits will not do. The problem is far more complex. Radically, we need to ensure that a false sense of ‘justice’ having been done is not engendered. Especially in dealing with aftermaths of crime (and for preventive capacity over time), I would point to far wider notions of ‘Restorative Justice’ – which some institutions, including police, have had success with. See, Restorative justice: An Australian perspective. Racism thrives on ignorance, and on unreal social structures where persons and groups cannot get to interact with and appreciate persons and groups who are different. The locus of Australia’s achievements in multi-culturalism were not the politicians, but were staged in the Australian suburbs. They belong to the people, both older Australians and migrants, and they must not let political elites obsure or attempt top down solutions. Racism and urban crime and violence greatly worsen in times of economic hardship and unemployment. India’s High Commissioner to Australia, Sujatha Singh, has said that she thinks Australia is not a racist society, but that there were are elements in Australia that hold “racist attitudes”. Referring to the Victoria Police, she spoke of a “lack of sensitivity” towards Indian student victims of crime. Mrs Singh has very rightly criticised the suggestion from the Victoria Police, with whom she has had an urgently-called meeting, that Indian students should move to safer suburbs. This police reaction the students’ realities lacks aliveness to the situation of many students. For many Indian and other foreign students, since they have to use their money extremely judiciously, live in lower rent suburbs, at a sacrifice of long periods of travel to and from their places of study. This fact lends futher strength to the call by the Federation of Indian Students of Australia (FISA) for a multi-cultural police section. I recently had the pleasure of meeting a busload of young Indian students who were visiting Steve Irwin’s famous Australia Zoo, and had a great chat. They studied Catering here. They were by no means all from well-to-do sectors. A very real question is: why is some given suburb unsafe? If it is unsafe, then the situation is not only a policing matter but also a matter that needs to be addressed by the whole community, with inputs from all the civic, religious, cultural, sporting, political and social welfare groups. It is to be hoped that other countries will not be shy of demanding strong accountability of Australia for the most proactive welfare of their students who study in this country. The Age reports that The Deputy Commissioner of the Victorian Police Walshe believes ‘some Indian students were being attacked because they were by nature quiet and passive people, they travelled late at night, often alone and carried expensive gadgets’. But if the situation is not fast and well-addressed (and one of the criticisms of the police and Victorian Government is that they have not acted sensitively or properly), India will not be too quiet and passive, and nor should she be. We in Australia cannot forever, and unchallenged, pose ourselves as the great and successful multicultural undertaking on which many of us have felt a pride. Though there is truth and remarkable accomplishment, there is a point at which the resting on laurels, lazy assumptions and government propaganda have to be ground to a halt by our strong effort. Among other authorities, Australian educators are going to have to address these issues very seriously and proactively. No ethnic group, or individual, should have to suffer any slight. A few years ago, I learnt that my former Indian yoga teacher, a woman, one of the most gracious and loved people one could ever meet, had been spat on. The disturbingness of this act dealt to one person is serious, but what to speak when reports of horrible actions are wider-spread. Having been a University student at the time of the great moratoriam marches against the war in Vietnam, and close enough to some of the events to know the facts, it was easy to see how very small but vicious agitator elements posed a danger to triggering off trouble. Key dangers were a minority of rabble, and the governments of the day and their police forces. Over the years, there have been reforms to police practice, including raising the educational qualifications, greatly increasing the presence of women, breaking down cultures of sectarianism, nepotism, and so forth. The Victorian government will need to probe whether any of the police acted outside proper professional guidelines. It is no use Australia’s Prime Minister Kevin Rudd simply “deploring” to India and “assurring” her of urgent action. The problem lies far deeper than political accommodations can reach. All of us need to be engaged in the peaceful solution. A Helpline for Indian students who are victims of crime is available: 1800342800. From 10am to 5pm, and 7pm to 11pm, Monday to Friday. Reading and Viewing – with link to the Channel NineMSN Australian Current Affairs program. This shows the sickening conduct of security personnel, seen by millions of Australians. The security detail was called by SWARA, when, to judge from the wide and separate questioning of those who had been involved, and from careful examination of the footage, the position appears to be clearly this: that social work professionals, volunteers and disabled clients were assailed without SWARA’s recourse to those pillars of Sathya Sai Baba’s teachings which SWARA professes to hold: Truth, Right Conduct, Love, Peace and Non-violence. There are those close to the issues who still regard themselves as Sathya Sai Baba devotees who have used such terms as “disgusted” when they describe the conduct of SWARA committee personnel. Tony McNulty MP, the Sathya Sai Baba-partial British government Employment Minister is in still bigger trouble. He looks likely to face police investigation. It had seemed that McNulty was headed for close to the ultimate Ministerial portfolio, that of Home Minister. It is a far cry for him now. Tony McNulty UK Minister. Finished? Is this a gun he's got in his finger? But in India, there is no fear of bombs. India will never have any such attacks.” Sathya Sai Baba, 22-10-2008. News of the last few hours shows that his disgrace factor continues to deepen. His friendship with Ashok Bhagani, the head of the UK Sathya Sai Organization, his employment in his Westminster office of Bhagani’s daughter, and his larger than might be expected attendances at Sathya Sai Baba meetings, I have blogged on in a number of pages in ‘Call For Media and Government Investigation of Sathya Sai Baba’. (See links below). Quite beside scandal that surrounds McNulty’s improper use (which he was forced to admit) of government funds for his second house, in which his parents, and not he, have been residing, there are serious issues that former Sai Baba devotee interests would like to see him face. One of these relates to breach of privacy. Another to receipt of funds related to Sai Baba sources. Another to his role played in the setting up of powerful transmissions to beam Sai Global Radio across the British isles. A major presence, as well as Ashok Bhagani, in the latter is Dr G. Venkataraman, Sai Baba’s deputy head of the International Sathya Sai Organization, and head of Sai Global Radio via the WorldSpace Satellite Radio Corporation. Has Tony McNulty Breached Serious Ethics Codes Re Sai Baba Dealings? These former Sai Baba devotee concerns about McNulty – although it may be uphill to bring them to the fore, given the enormity of other issues McNulty faces – we are placing in the hands of the proper authorities and, as well, with Opposition parties in the House of Commons and House of Lords. We will provide the story for any well-reputed media, without any thought of payment – unless it were fully declared and donated to a mainstream, universally regarded charity. One of these issues – no mistake about it! – would, if proved in a strict sense, constitute a most serious breach of ethics for any Member of Parliament, much less a Minister of the Crown. Our sources are good indeed. Some eminent ones are available to reputed media. In the background photo, at London Sathya Sai Baba center, it is Sathya Sai Baba who stands behind Tony McNulty. We know that prominent Sathya Sai Baba officials regard him as standing behind McNulty in more ways than one. Will Sai Baba Take Heat off Brit Minister Tony McNulty MP? 31 Jan 2009: Boris defends the finance sector, McNulty and Malthouse to debate on The Politics Show, spoof Twitterer mystery remains unsolved. 11 Jan 2007: A letter written by the Association of Chief Police Officers warning about the backlog of crime records was received by Tony McNulty and replied to by Joan Ryan. 24 Oct 2006: Simon Hoggart: You might think that one John Reid at the Home Office was enough. You would be wrong. He now his own Mini-Me, in the form of the junior minister in charge of police matters, Tony McNulty. 24 Aug 2005: A new appeal against the deportation of a family of five asylum seekers from Malawi was last night rejected by the immigration minister, Tony McNulty. 5 Aug 2005: Leader: To his credit Tony McNulty, the Home Office minister, ignored the injunctions of GB Shaw, PG Wodehouse and John Wayne, all of whom advised: never apologise, never explain. Little doubt many other humble souls have handed Barack Obama and other leaders some photo or other talismanic artifact reflecting their image of the deity. Leaders, whether out of politeness and charm – either natural or calculated or a mix of both – will of course, if there is not a security constriction, accept. This woman and her group were, after all, on an Obama committee. Has Obama Got Sai Baba In His Pocket? A glance at Anita Sharma’s email (see below) is enough for anyone not a blind follower to get a glimpse of a particular phenomenon. It is one that occurs when the idolized guru figure is believed to have made an impact on this or that celebrated power figure. It is widely seen among worshippers of Sai Baba: immediately mobiles, landlines and email systems run hot. Ooo and ahhh – Look at the untold Grace our Guru is bestowing right round the world! Hilary Clinton wants to see Swami! Ohhh and hallelujah! and Jai Sai Ram! Did you know that I sat next to Raisa Gorbachev in the Puttaparthi darshan and she told me that Michael Gorbachev keeps a book of Swami’s discourses by his bedside! Ooo ooo ahhh ahhh, I was at Puttaparthi when Swami sat Steven Seagal on a sort of throne next to Him. O what a Leela Swami plays! Ohooo, how wonderful it was to see Goldie Hawn! And Fergie (the) Duchess of York looking so adoringly at Swami – what a lovely role model she is! Team. We had an opportunity to speak to him personally for few minutes. Picture in the pocket of his coat and told me he will always keep it. Guidance and safety. They were ok with that response. Few days ago, my husband was invited for Obama Victory celebration and the Same campaign manager said Dr. Sharma your guru’s picture has worked. Well for the whole mankind. Via the news organization Silobreaker, Friday, March 27, 2009 8:23 PM, below are some links to major British media articles on the Tony McNulty expenses uproar. McNulty has close ties with the wealthy and powerful Sathya Sai Baba sect, and with its UK leader Ashok Bhagani and other key members. The aim to set up a powerful transmitter in the UK for Sai Baba’s international radio satellite broadcasts has been a part of this relationship. McNulty first said that he would not hand back the more than 60.000 pounds sterling that he had claimed for a house in which his parents live. Under closer scrutiny, he then said that he would. He also first said that he had done no wrong. But subsequently said that the “arrangement is indefensible”. John Lyon, the parliamentary commissioner for standards, is to launch a formal investigation. McNulty has been widely tipped to be the next Home Minister and also Lord Mayor of London for 2012. However, he is now under a cloud of approximately the size of the roof of his parents’ house for which he claimed expenses. 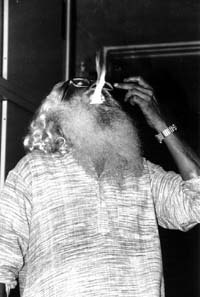 View Video Clips From BBC and Other Sources: Tony McNulty’s favoured Indian guru is exposed for his magician’s tricks. Also Sai Baba’s world head Dr Michael Goldstein and close colleague of Ashok Bhagani is exposed by BBC hidden camera in a fit of anger and denial of accountability, transparency and duty-of-care. (Former longtime head of the Sathya Sai Organization, Norway. Retired academic, University of Oslo). (The latter article is valuable because of references and links concerning Ashok Bhagani’s ties with The Eastern Eye). – Ashok Bhagani – Footsying With Top Blair Minister? – Ashok Bhagani – Blotting Out Conscience and Memory? God may save the Queen, but will she save her Minister, McNulty? Great Britain’s State Minister for Employment and Welfare Reform, Tony McNulty, is yet again under fire. Recently, he was in trouble for falsely talking up the economy. McNulty’s previous portfolios as Immigration Minister and Minister for Security and Counter-terrorism at the Home Office also gave him some rocky rides. Last weekend, the Daily Mail broke a story about his taking large tax-free expenses for a house in which his parents live. But McNulty himself lives in Hammersmith, a few miles from his Harrow constituency. With hundreds of thousands of Britons unemployed, such revelations have angered many. A probe into irregularities should enquire about any payments that Sathya Sai sect officials or other members may have paid to Tony McNulty. The powerful and extraordinarily wealthy worldwide Sathya Sai Organization broadcasts in the name of Sai Global Harmony, transmitted internationally by satellite 24/7 via WorldSpace Radio Corporation. 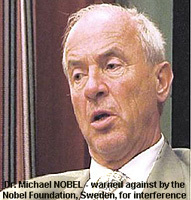 The head of this, Dr Michael Nobel, has shown high partiality to Sathya Sai Baba but has been exposed by the Royal Swedish Nobel Foundation and in the New York Times. See my article of yesterday. Tony McNulty Sathya Sai Baba Cult Supporter Tipped As UK Home Minister. Although Gordon Brown’s response seems made to get the spotlight off McNulty, it contains a solid suggestion: investigate paid jobsthat MP’s might be taking beyond their parliamentary remit. An enquiry needs to ask McNulty to disclose his entire dealings with this cult which has been strongly exposed by the BBC in 2004 and other major investigative media in the UK and and other countries. The probe will look at his decision to designate the house in his Harrow East constituency as a ‘second home’ even although he rarely stays there. The investigation, which could drag on for months, is deeply damaging for Mr McNulty. Until the scandal broke, he was being tipped for a future Cabinet position. The prime minister also tried to wrongfoot the Tories by saying that Sir Christopher Kelly, the standards committee chairman, should at the same time examine the issue of MPs’ outside interests, including paid jobs outside parliament. NOTE: Dr G. Venkataraman, Sai Baba’s radio chief and world deputy chairman, has said on Sai Global Harmony’s official website that the aim is to transmit Sai Baba’s message into every home. What he conceals is that the agenda of the sect is to see Sathya Sai Baba ruling the world. Has, then, Tony McNulty been taking consultancy fees or any other kind of payment in regard to the Sathya Sai Baba cult’s plans? These are to ensure that Sai Baba’s message is heard via powerful satellite transmission of Sai Global Harmony through WorldSpace Corporation across the UK, just as it broadcasts to other countries. A big scandal has erupted in the UK surrounding British Labour Member of Parliament, Tony McNulty. Some of my readers will recall that McNulty is connected with the head of the Sathya Sai Organization in the UK, Ashok Bhagani. Evidence suggests the two men are friends. It is also known that Bhagani’s daughter has long been working, with varying hours of service, for Bhagani in his Westminster office. The international Sathya Sai Organization has been going all out to penetrate the world’s satellite radio waves. It is known that McNulty has been involved in efforts to bring these plans to fruition. 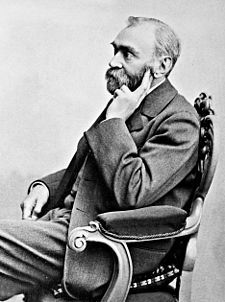 “They are giving the Nobel Prize to many people. The man who gives the Nobel Prize (Chairman of the Nobel Prize Committee) is coming here on the 22nd November. The ones who will show this to the whole world, TV people, are all coming here on the 22nd. There have been instances where sudden spikings of Sai Baba related stories, much to the upset of journalists who have put in a lot of investigative slog – such as senior journalists on CanWest (where wealthy Canadian Sai Baba cult members threatened the withdrawal of considerable business advertisements). At the 11th hour, the editor of The West Australian pulled a story by award-winning journalist Torrance Mendez that was to be front paged. However, it is known that The Times, BBC, CBC (Canada), SBS (Australia) and India Today have all withstood considerable pressures by Sai Baba’s extremely wealthy and well-connected emissaries. There are questions to be asked about what kind of contributions may have been made by Bhagani to McNulty. Also, whether McNulty’s links with the Sathya Sai Baba sect are more than would be required of an MP on behalf of constituents. Why has McNulty had such close association with the Sathya Sai Baba cult? This – when the Times of London, the BBC, CBC, SBS, ABC, The Telegraph, The Guardian, and serious media in other parts of the world, including India Today, all stood by the integrity of their investigations. Why, in short, Tony McNulty’s persistent linkage with the Sai sect? In background: Sathya Sai Baba’s photo. Is Sai Baba behind Tony McNulty MP in more ways than have been made known? Will McNulty declare moneys that he has received from any strongly Sathya Sai Baba-connected source? Will he disclose why he has made many visits to Sathya Sai Baba venues? Will he say what his interests are in Sai Global Harmony and in the setting up of a powerful transmitter in Great Britain? 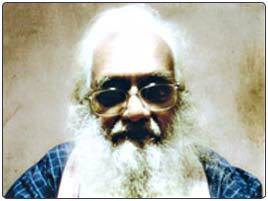 Ashok Bhagani – Blotting Out Conscience and Memory? Some of Sathya Sai Baba’s propagandists, and many devotees, strive to make it appear that an assertion disfavouring him is an assertion against Hinduism and India. In actual fact, a great many Hindus do not at all approve of Sai Baba, as anyone who has travelled extensively in India or who knows many non-resident Indians knows only too well. and then their reaction to the name Sathya Sai Baba. Sathya Sai. All that glitters is not true gold. The qualitative difference of reaction to your question (which is actually about what constitutes true gold) will commonly be altogether striking. Sai Baba, Citizen Kane, Bill Gates, Et Alia. (I have written elsewhere – Saudi King Abdullah: Jews, Muslims, Christians Must Diolog – of the interfaith call by King Abdulla of Saudi Arabia. It is a very partial one. At least millions round the world who know nothing of Sathya Sai Baba have heard of King Abdulla. If any such friendly get-togethers were to occur among the Muslims, Jews and Christians to whom the king refers, there would need to be the focused avoidance of any entanglement in the harsh world of realpolitik – in which King Abdulla is no doubt highly troubled by Iran, which is a non-Arab country). “I saw the documentary on Thursday and it made my blood boil. The BBC is a premier channel and it was irresponsible of them to show a totally one-sided, biased and unbalanced documentary that they knew may stir something amongst many members of the Asian community”. 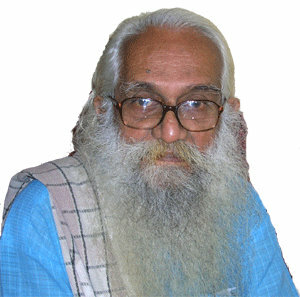 Ashok Bhagani and The Secret Swami.